Arsene Wenger is set to axe Olivier Giroud from his Arsenal squad for next season after being left disappointed and let down by his off the field antics. The Sun reports the Gunners manager is set to sell his 27-year-old striker because he smuggled women into the Arsenal team hotel on two occasions this season on the night before games against club policy. 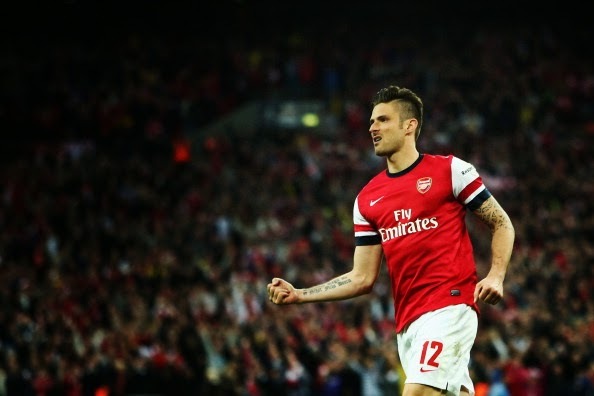 Giroud is the clubs top scorer this season, with 19 goals so far this campaign. Arsenal would be looking to sell the striker for around £17millon, having brought him in a £13million deal from French club Montpellier two years ago. According to reports the France international is under pressure from wife Jennifer to find a club outside of England. However his options would be limited in France with only Paris Saint-Germain matching his Champions League ambitions. The Sun says Italian clubs Juventus and AC Milan could also provide Giroud with alternative options.